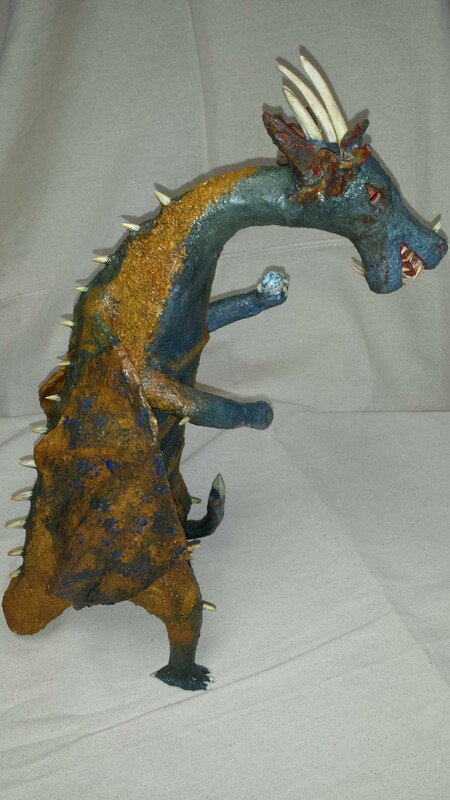 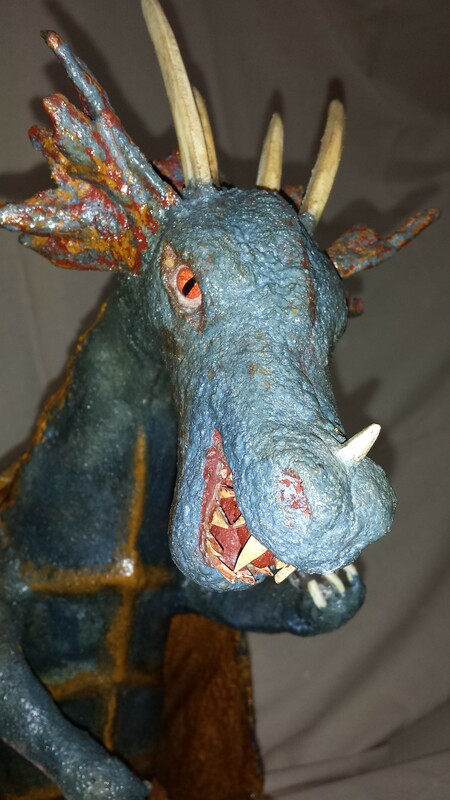 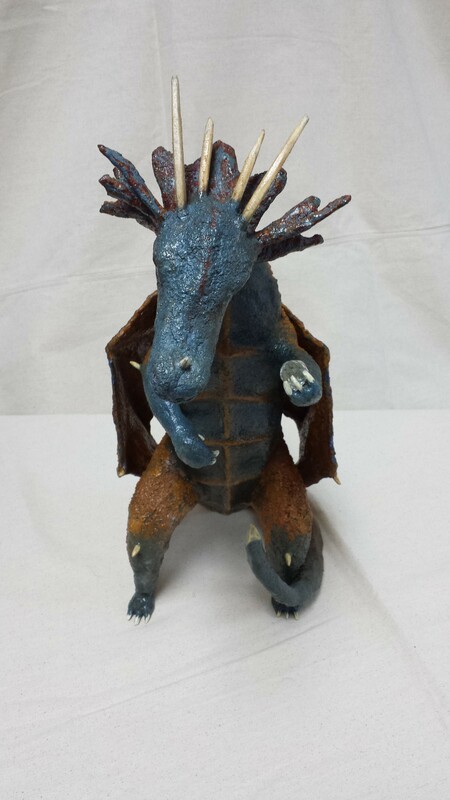 The blue & gold Dragon stands 22 inches tall and is a little over 8 inches wide. 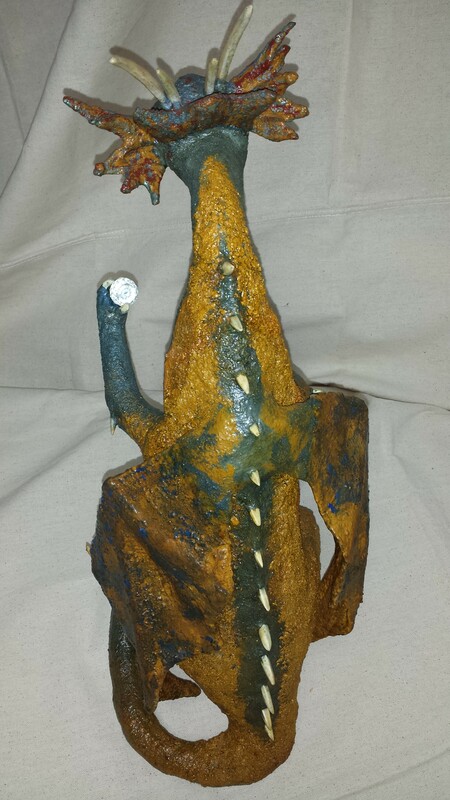 It is handemade in concrete over wire. 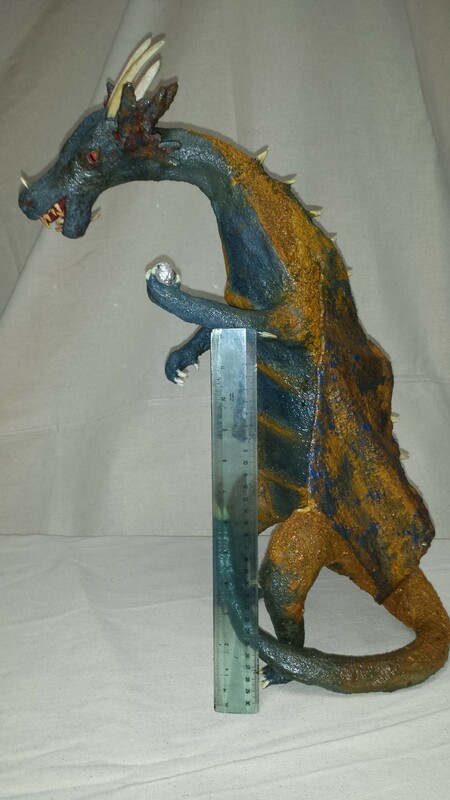 It took 118 hours to create.